Was wondering how often you might lend a hand to someone struggling to catch fish. I helped out a guy and his kids on Saturday, invited them to fish by us, gave them a few jigs and some of my bait. Whenever I can I do. Just couple weeks ago. A couple with a young kid came out onto this lake we were fishing and were having a hard time locating any fish, I told them to set up in the holes we had drilled and showed them what to use and they left the ice with enough for a meal or 2. Yep, that's how I am. I'm always down to share bait, presentation, and even location (not necessarily GPS coordinates) of where I am catching fish (if I am catching fish). I have kiddos and have gotten help over the years with getting on the fish. I don't mind sharing information especially if it goes both ways. 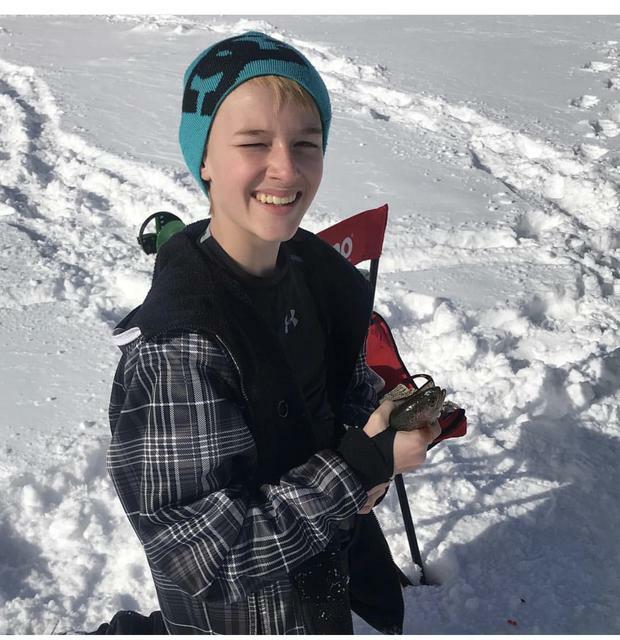 This thing we are all crazy about called ice fishing is too fun to take too seriously! Unless it's a tournament or you are some crazy yahoo worried about bragging to your buddies or filling your overstocked freezer...feel free to ask. Just don't be surprised if I ask for some intel in return or at least for a funny joke! Anything you can do to help someone with kids is a plus! 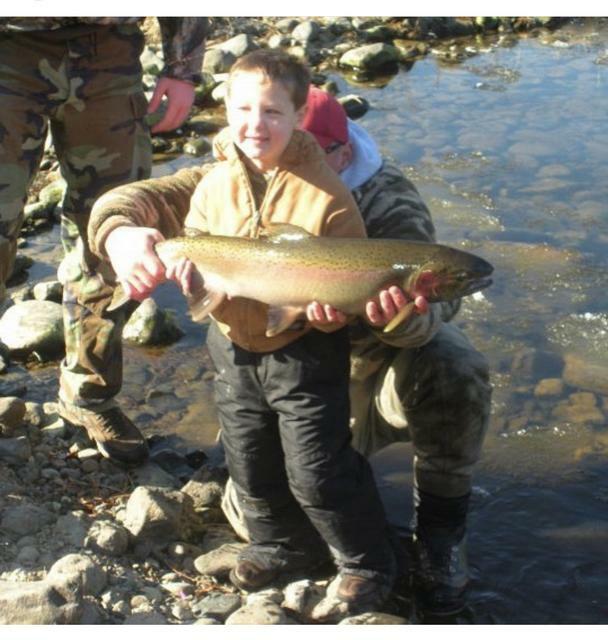 Getting kids interested in fishing, no matter what type of fishing, will reap its own rewards down the line. What I find ironic is that kids, in general, have an innate interest in learning new things (like fishing) and many parents can't find the time to show their kids what they can do. Then these same parents complain that their kids aren't excelling in any outdoor sports...D'oH! kids yes. other people. if they initiate the conversation. Depends on the attitude and approach of the fisherman. I had some folks share spots and techniques with me in the past and it’s made me a better fisherman so I try to give that back when and if I can. I’ve met some great fisherman and built good friendships and fishing partners from a simple hello how are ya. Anytime I have the chance, for all of the mentioned reasons and all of the above conditions! I do try to make it look as though mom or dad figured it out! At least once a year I see the father/son combo with a dead auger. Always happy to cut them as many holes as needed...except for one time last year when I used up all my batteries and had to put the hand crank back on and cut a few holes through 24". Vermont has strict bait laws so I always look for a group of younger anglers to give my bait to when I'm headed off the ice. Some of my absolute very best fishing trips involve me fighting a fish and letting a kid land the fish. Then the kids usually stick around and visit or they go get there fishing gear and come fish with me. 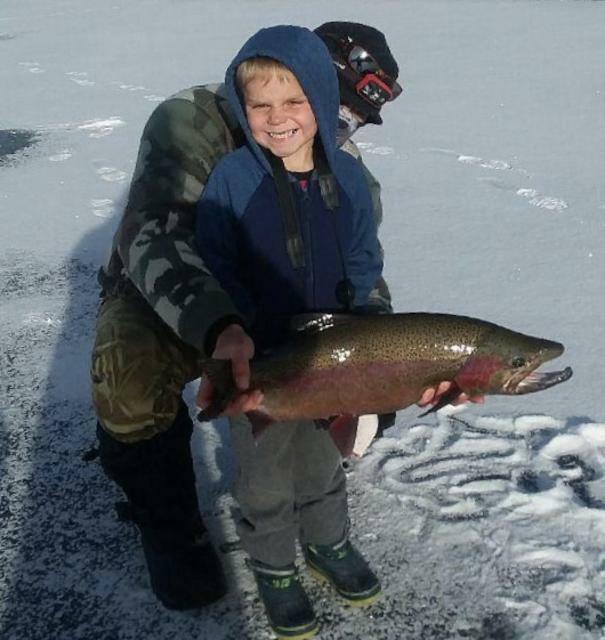 If their parents are cool, they are welcome to come fish too. Usually the parents do their thing, the kids end up catching some fish with me and then they run back all excited to their parents to share their story and then the parents come fish with us lol! I used to give fishing info in open forum so if any other person having the same problem finding and catching fish could take note. Then I started to receive PM's stating I was giving too much info and that some day I will not be able to find a parking space because of the extra fishermen. Some PM's were not very nice. How selfish. So now I don't use open forum I send PM's. All the time, I love taking out newbies and getting them into it. Helping a kid get on the fish or even an adult as long as they are cool, is a good feeling. I've drilled holes, given up my current spot, given kids jigs, I've even loaned out my flasher to kids. I have no problem sharing info or asking if I'm somewhere new or trying a different style or for a different species. used to a lot more but I have learned not to these days. nothing like showing a buddy a good time on a hot bite, only to have them go back and bring friends. integrity runs thin these days. mostly small couple hundred acre lakes around here. little lakes can fall victim to "internet rotenone". then your off to put in more time and money finding better fishing. everyone learns eventually. technique and tackle stuff is ok to share but your 10-20s are best not shared. I will happily drill holes especially for people taking kids fishing and they're struggling with a hand auger. And try to give them pointers. I just remember back in the day when people with power augers help me out and also gave me pointers, remember to pass it on. I could count the times I haven't a lot faster than the times I did!